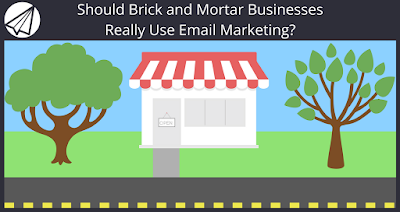 Should Brick and Mortar Businesses Really Use Email Marketing? When small business owners hear the term email marketing most of them consider it a marketing method better suited for bigger brands and tech companies. is good idea to invest your time in. I mean, come on. You’ve got a busy plate as it is! But in all seriousness, even small or local based businesses can reap large rewards from incorporating email marketing into their marketing. Let’s take a look at why using this method is vital and examples of how others are using it. When you run your own business, you’re constantly thinking of ways to get new customers coming to you and to keep old customers coming back. I know because I have to do this too. It’s fun, a bit tiring, but totally worth the effort. The problem here is that we sometimes try to reinvent the wheel. People everywhere have been primed to receive and open emails and they check their email all the time. Business Insider found a study that showed nearly 34% of people checked their email throughout the day and the majority checked their email 1-6 times during the day. 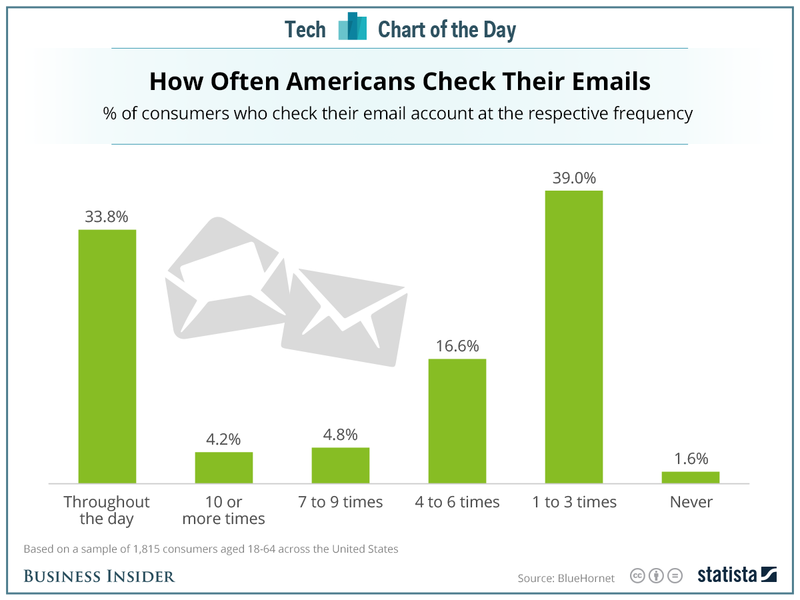 Your customers are already checking their emails, so shouldn’t you be there when they do? By using email marketing and automating certain messages, you can do just that without taking a lot of time out of your day. In fact, most email marketing can be automated so just set it up once and you’ll never have to touch it again. Perhaps the best reason you should consider using email marketing for your business is that it has the best return on investment (ROI). In fact, Search Engine Journal found that email marketing has an ROI of 4300%. Read that stat again… Crazy, right?! While you can spend money on SEO services and paid advertising (nothing wrong with those), email marketing offers a low cost marketing method that has the best pay off when done correctly. And getting started with your email list isn’t too hard. 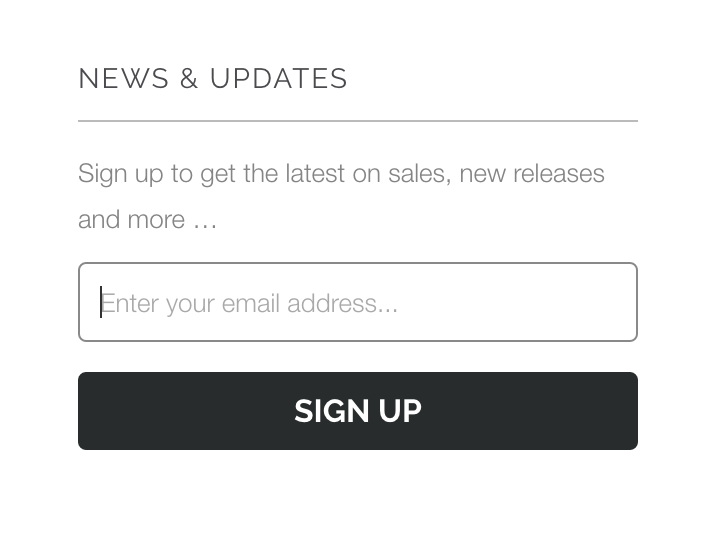 You can put opt-in forms on your website using tools like Sendlane™ and WordPress plugins like ThriveLeads. And you can even collect emails the good old fashioned way using sign-up sheet in your store if you have a physical location. In fact, many local businesses with foot traffic do both. No matter what type of small business you run, at the end of the day, what counts is your income. Income comes from customers, so the more customers you get to buy from or hire you, the better. Finding the balance between getting new customers and keeping current ones coming back is a challenge for every business. Email marketing is a method that bridges that gap. Depending on the type of business you run, you can use emails for your small business to get new customers. But more importantly, you can use it to keep your current customers coming back again and again. The reason for wanting to do this is that past customers spend 67% more than new ones. Using emails allows you to keep your brand, business, and promotions constantly in front of past customers on your email list to help keep them coming back. In an ever noisy world, getting your customer’s attention can be tough — even with email. But if they already know you and are opening and clicking through from your other emails, then you’re you’re building on a brand-to-customer relationship that will pay off. For example, take a look at Portland Gear. While they have an online store with a good social media presence, they also have a physical store location that they drive foot traffic to. One of the best ways they managed to do that, aside from having a good location is through email marketing. Using emails, they alert customers to special promotions, sales, new releases and quite a bit more. This drives up sales even though they run a brick and mortar store because these emails alert people to something new and exciting that the store and business is doing. By sending promotions and keeping themselves in front of their customer base, they’re spreading their reach while building on their brand reputation. That level of customer retention is invaluable for business no matter what size it is. While at first glance, email marketing might not seem all that valuable for a small, local business, it can actually be a huge marketing asset. Yes, big tech companies use it, but that doesn’t mean you can’t too. In fact, you should! Using an email marketing tool like Sendlane™ to get started simply and to automate a lot of your emails can help your business now and in the future. Click here to get started with your free 2 week trial of Sendlane™! And who knows? Maybe you’ll be able to see the huge ROI of 4300%. What do you think? Please leave comments below, and also like and share this post on Facebook and your other social networks. We appreciate it. #DIGITAL: Should Brick and Mortar Businesses Really Use Email Marketing?